In 2019 Outlands will bring another three diverse and innovative experimental music tours to Cambridge Junction. Next month tour #4 focuses on sounds created using materials with a live show featuring ceramic artist Keith Harrison in collaboration with Beatrice Dillon and with support from DJs Copper Sounds, playing their own discs made from copper, wax and other materials. Copper Sounds will also lead a workshop before the show where you can create your own 7" wax lathe-cut disc. Tickets are just £9 in advance from Cambridge Junction Box Office, including booking fee, more on the door. Copper Sounds will introduce cutting lathes, talk about the history of sound recording and participants will create their own wax 7" dubplate and turntable-created sleeve artwork. Artists from acclaimed German electronic label raster (successor to raster-noton) label: Kyoka (Japan) + Grischa Lichtenberger (Germany) plus tour support Ytac will play hypnotic live minimal electronics within a J2 space transformed into a unique environment using sensors and microphones to react to the artists and audience. Outlands tour #3 is presented by Outlands Network for experimental music tours in the UK together with network member FUSE (Bradford). Outlands events in Cambridge are promoted by Cambridge Junction and co-hosted by bad timing. Still a few places left on this creative coding workshop with creative technologists wetgenes who have been working with Outlands and FUSE to create next week's DRIFT show. Come and learn about how shaders technology can use your device and its camera and microphone to creative reactive moving visuals. 5–7:15pm J2, Cambridge Junction. Free entry but reservation essential as places are limited. Outlands is a new UK network for experimental music tours. Bad Timing is working with Cambridge Junction to promote the Cambridge events. 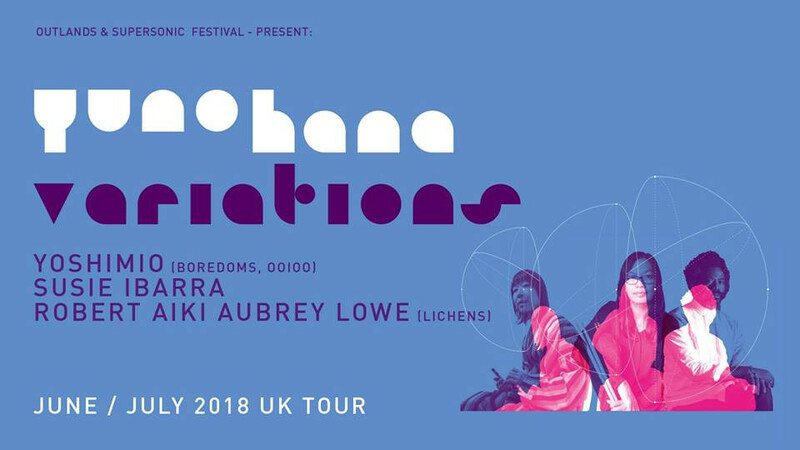 Next week the second Outlands network tour comes to Cambridge on Thursday 28th June with Yunohara Variations at J2, Cambridge Junction. Produced by Supersonic Festival, this is a collaboration between YoshimiO (Boredoms/OOIOO), Susie Ibarra and Robert Aiki Aubrey Lowe (Lichens). Support comes from Tribes of Europe, the project of Cambridgeshire-based cellist and improviser Martin Elsey, who has collaborated with C Joynes among others and has been featured on Radio 3's Late Junction. 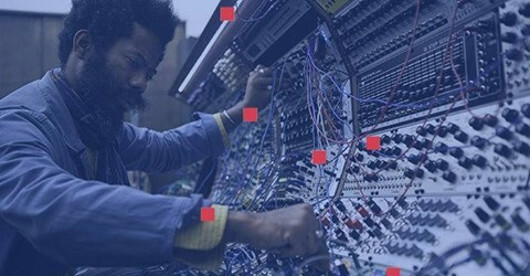 Before the evening show Robert Aiki Aubrey Lowe will be leading a workshop exploring soundmaking using the human voice as an instrument (no singing experience necessary). 5–6:30pm J2, Cambridge Junction. Free entry but reservation essential as places are limited. bad timing exists to create unique live music, sound and art events in Cambridge, making regular events happen in venues of all kinds and in other unusual spaces — wherever they can be made to happen. BT brings touring artists to the city from across the world and works with a core of experimental and innovative artists based in Cambridge and beyond, making connections and seeking out performance opportunities. BT is interested in live events beyond the 'gig' format and has worked with many of the city's visual arts organisations including Kettle's Yard, Aid & Abet and Wysing Arts Centre as well as several Cambridge city museums to develop its own cross-arts projects and provide opportunities to other artists and musicians to work in new ways. Founded in 2001, Bad Timing is now in its 16th year of activity. 2016 The Other Side: An Audiophonic Séance Created with The Alchemical Landscape research group at the University of Cambridge. 2015 Tyburnia at Castle Hill with Dead Rat Orchestra and The Museum of Cambridge Day of site-specific events around the lost site of Cambridge's gallows at Castle Hill. Museum of Cambridge, Castle End Mission and Castle Hill area walk. Live soundtrack event by Dead Rat Orchestra with film by James Holcombe, panel discussion. History walk, discussion and temporary exhibition created by Tamsin Wimhurst at the Museum of Cambridge. 2014 Hidden Channels: sound, art and technology, 13-21 Sept Site-specific exhibition and live event at Cambridge Museum of Technology. New commission from Jez Riley French 'five resonances (fluid)' premiered. Stephen Cornford 'Archipelago' UK debut showing. 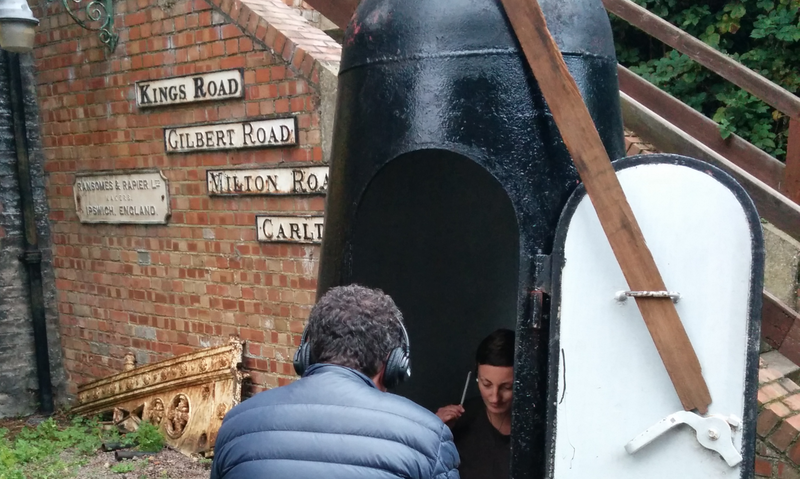 Holly Rumble new site-specific performance 'Fortune', John Chantler, Graham Dunning, Chloe Leaper, Peter Sutton, local radio. 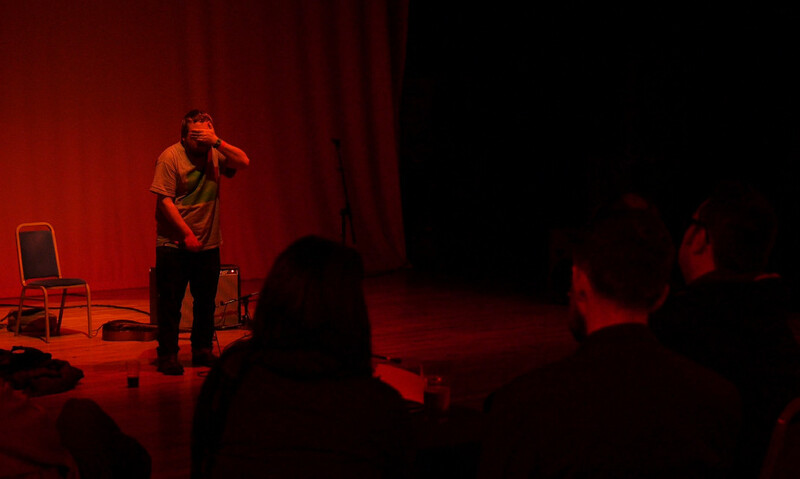 2014 monomania: a one-day international festival of solitary and obsessive creative experience across live art, sound, music, visual art and technology. Aid & Abet artspace, Cambridge Junction and Cambridge Station area. 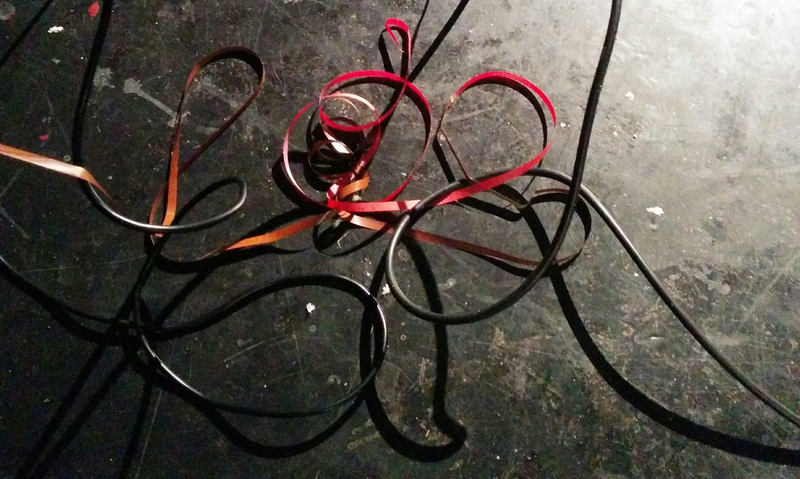 bad timing exists to make live events happen across sound, music, art and technology. Since late 2001 it has brought innovative artists from across the world and around the UK to Cambridge. Special events and discussions about sound, active listening, sound-making and field recording in the Cambridge area. Monomania is a project which celebrates obsessive, solitary and individual creative experiences. Monomania Festival 2014 happened at Aid & Abet warehouse artspace, Cambridge Junction and the Cambridge Station cb1 redevelopment area. Artists working solo created commissioned works, performances and workshops over the course of a day. Self Assembly is Bad Timing's purpose-built arts centre for Cambridge. The 7-capacity space includes gallery, screening and live performance areas. 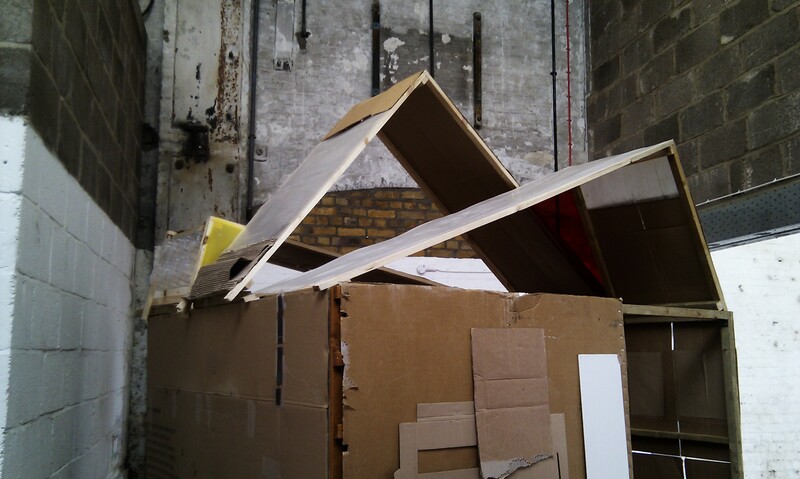 Originally constructed as part of Art As A Full Time Hobby at Aid & Abet warehouse in 2011, it has since appeared in a Cambridge terrace living room	and as part of Lotusland at Changing Spaces Project Space (2015). Apart from the residential living room, it has survived the demolition or closure of all these spaces as well as the place it was constructed, Reworks warehouse workshop and studios. Monomania Festival 2014 happened at Aid & Abet warehouse artspace, Cambridge Junction and the surrounding area. Artists working solo created commissioned works, performances and workshops over the course of a day.